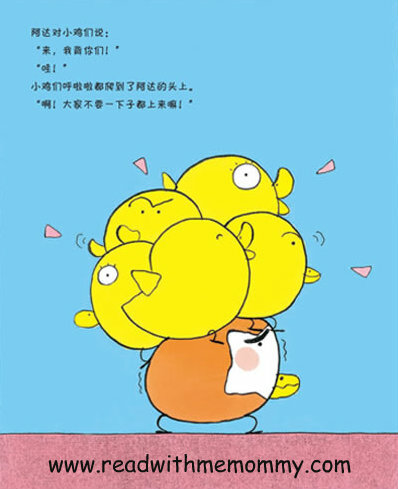 Brother Egg is a very cute story originally written by a Japanese author, Tamago Niichan in 2001 and has since been translated into chinese. 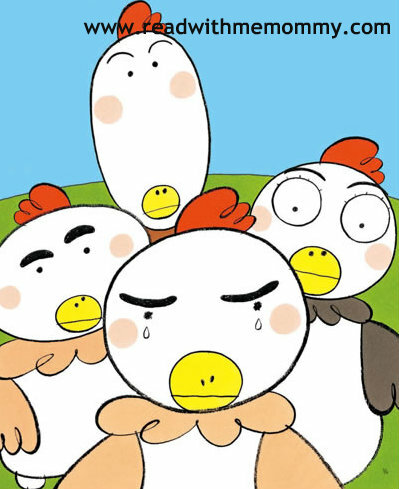 Brother Egg is a chicken who do not want to come out from his outgrowned egg shell. In his mind, he secretly wished that he will never grow up. 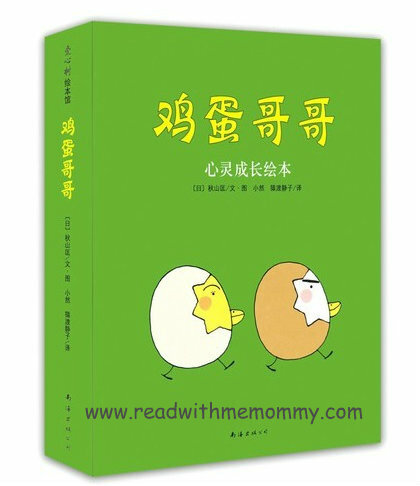 He thought, as long as he remained an egg shape, mommy and daddy will continue to love and cuddle him like a baby. So he walked around the farm with the egg shell on his body. Being super protective of his shell, he'll run away from "dangerous characters" [i.e. the crow who offer to help break his shell], danger spots (i.e. the rock that he almost tripped over), etc.... One fine morning, to his horror, he woke up and ... (to be continued in the book). A hilarious read that you can share with your child. After reading, parents can affirm to them that no matter what he or she become / even if they are no longer babies, they will always be daddy & mommy's little darlings. There are a total of 7 books in this series. Each book has about 28 +/- pages. 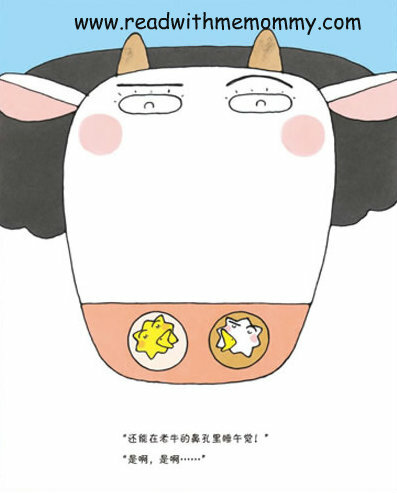 No hanyu pinyin in the book.